The January 24 class is full, but you can catch us here as we share the class with all of you. Want to learn to sew? 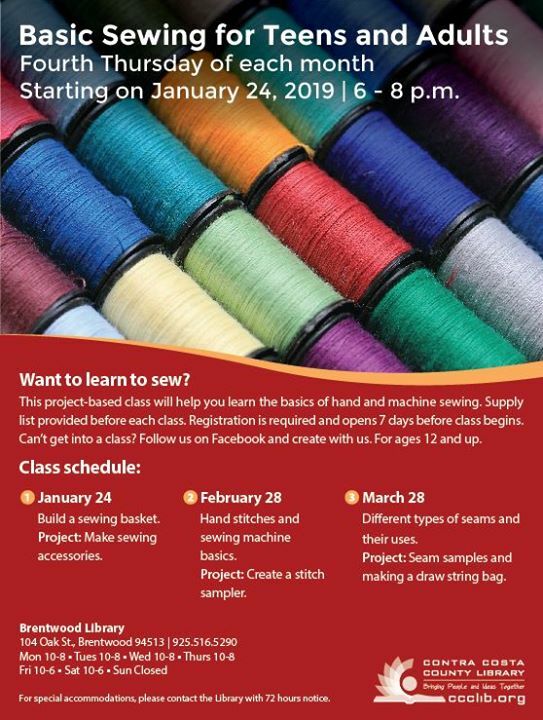 This project-based class will help you learn the basics of hand and machine sewing. Our first class is Thursday, January 24 class is from 6:00 to 8:00 pm. We will be building your Sewing Tool Box. The projects will include making sewing accessories. Registration is required and opens 7 days before class begins. Can’t gent into a class? Follow us on Facebook and create with us. For ages 12 and up.